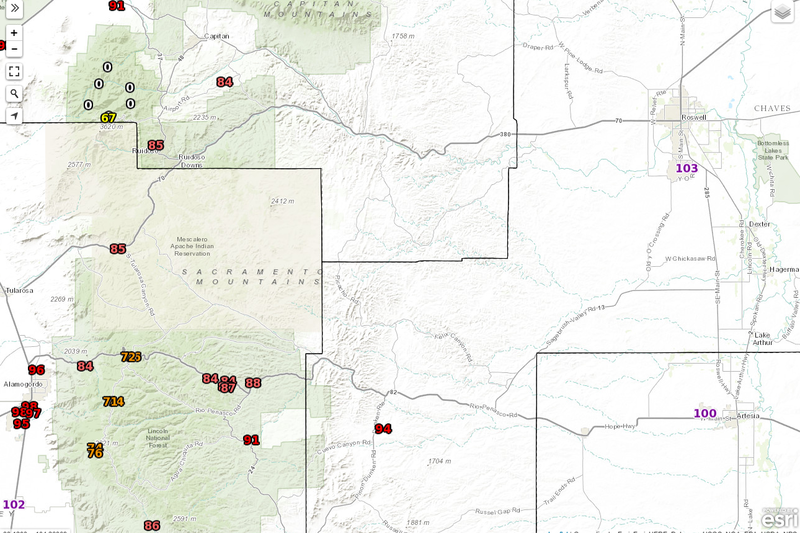 NWS MesoWest Reported High Temps Thursday. 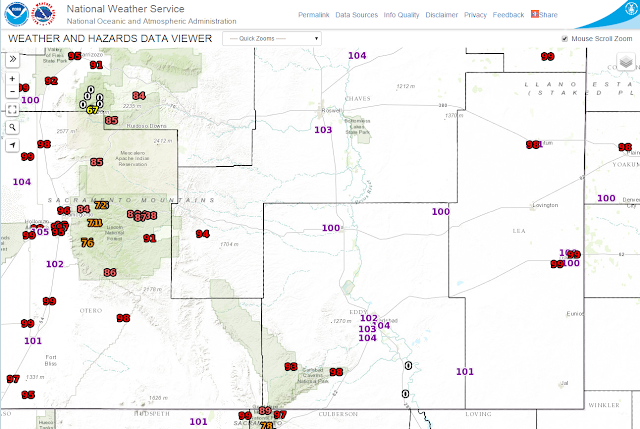 Thursday was yet another day with high temperatures at or above 100°F in southeastern New Mexico and parts of West Texas. I topped out at 103°F here at our home in Carlsbad. 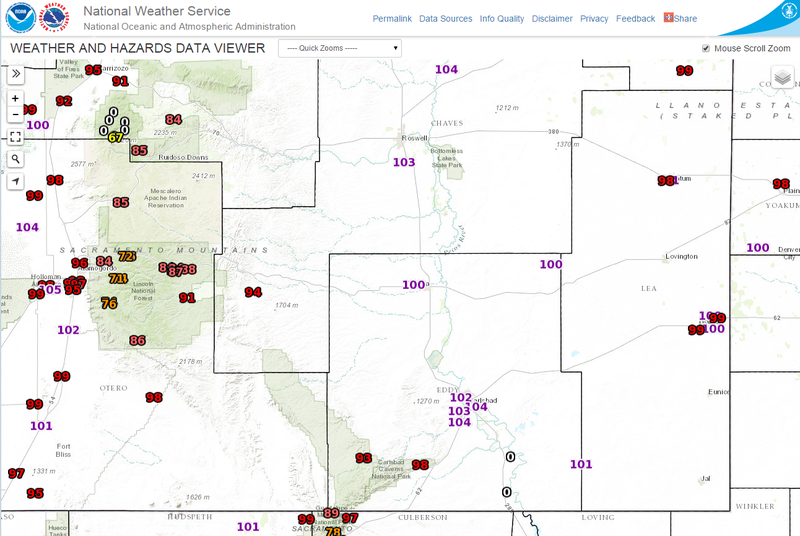 The Carlsbad Airport checked in with 105°F, The Roswell Airport reported 104°F, the Artesia Airport reported 100°F, and the Hobbs Airport reported 97°F. Similar readings are forecast locally once again today. NAM-WRF Forecast High Temps @ 5 PM MDT Today. 06Z/Midnight MDT GFS 500 MB Analysis Last Night. 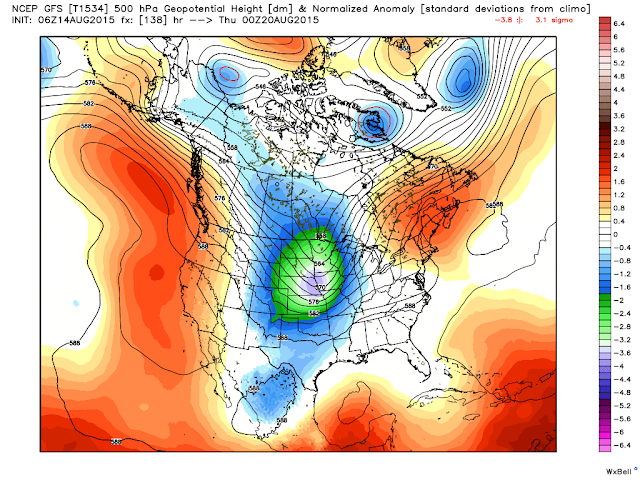 A stout upper level ridge of high pressure centered over northern New Mexico is forecast to slowly weaken and shift west to California with time late this weekend into the first of next week. This will help to bring our daily high temperatures down to more seasonal values. As the ridge begins to shift westward we will also see an increase in thunderstorm activity starting this afternoon, and continuing into the weekend. Localized heavy rainfall will be possible with some of the stronger storms. Adding to this mix will be an upper level low moving westward from the northern Gulf of Mexico from near Louisiana to near Brownsville, Texas by late this weekend. 06Z/Midnight GFS 500 MB Forecast. 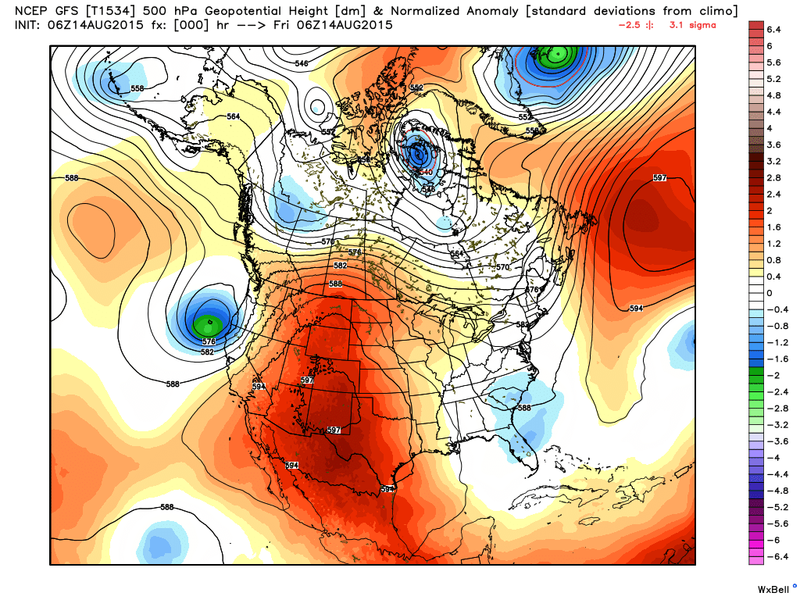 A fall like upper level trough of low pressure is forecast to drop southeastward out of northwestern Canada the first of next week. By Wednesday its forecast to dig as far south as eastern New Mexico. This will usher in a cold front into the local area and cooler temperatures along with an increased chance for thunderstorms. 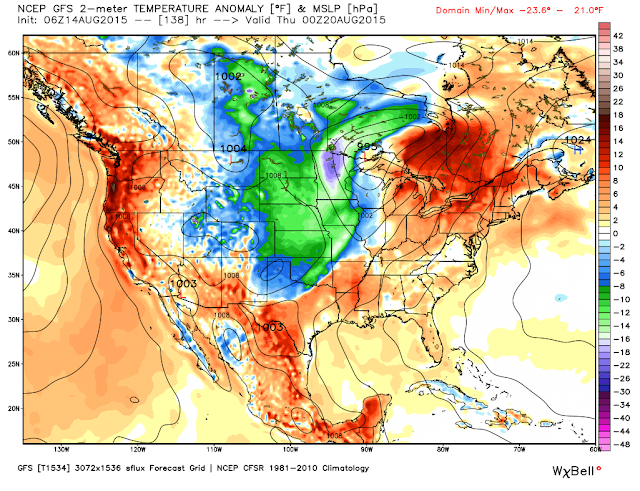 06Z/Midnight GFS MSLP & Temp Anomaly Forecast. 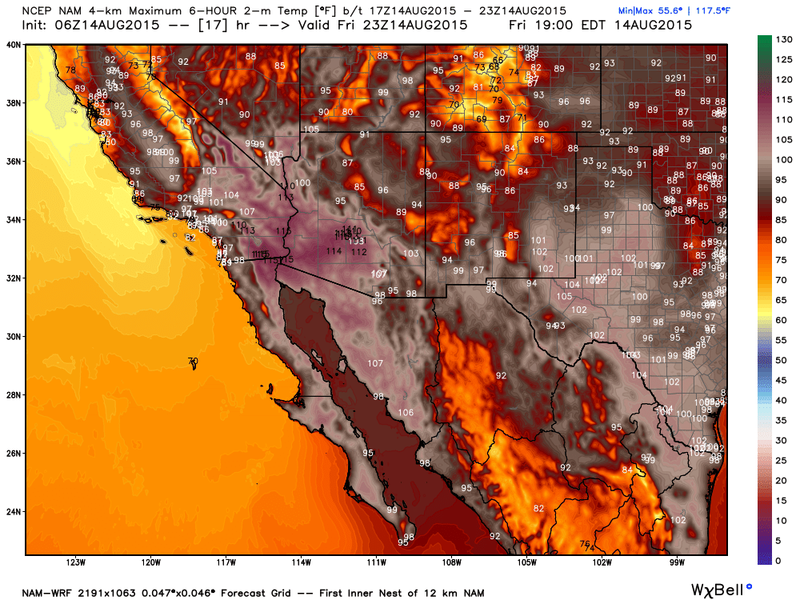 06Z/Midnight GFS High Temp Forecast. 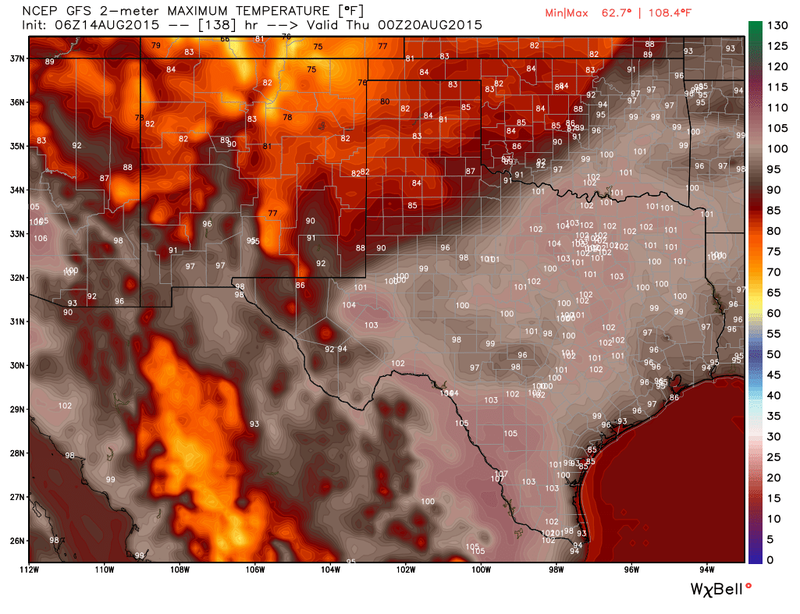 Depending upon the timing of the arrival of the cold front and the cooler air behind it we may not see our afternoon high temperatures get out of the upper 80's next Wednesday.